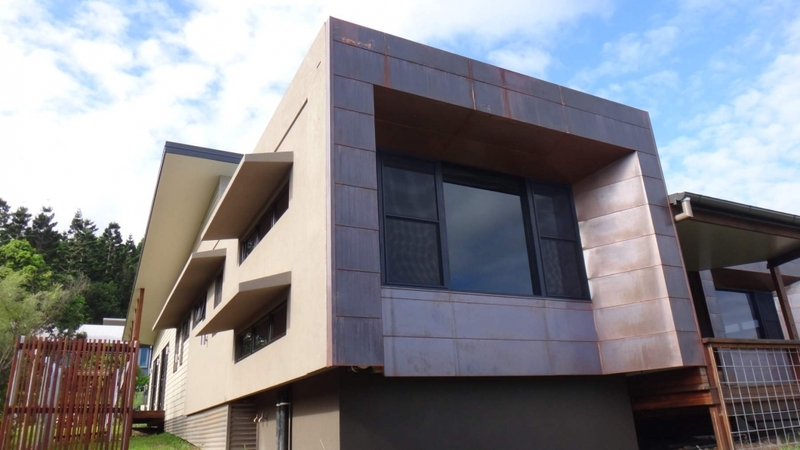 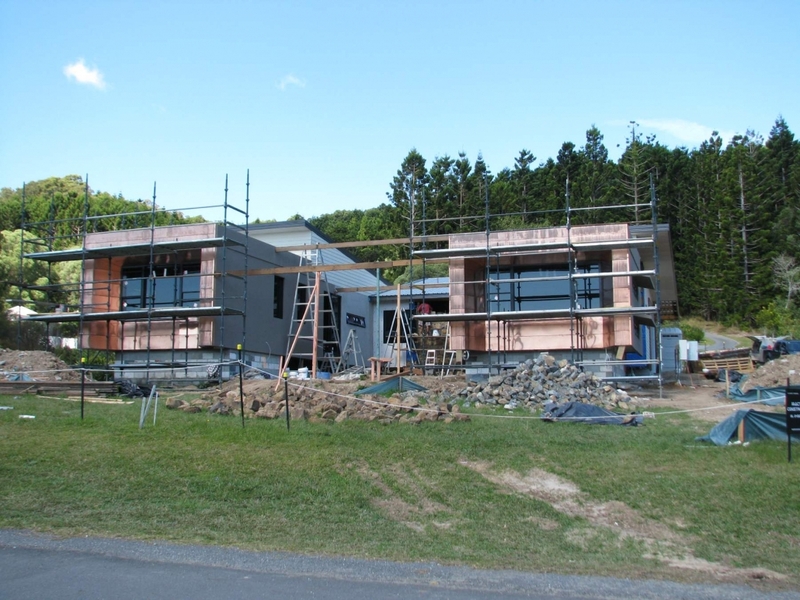 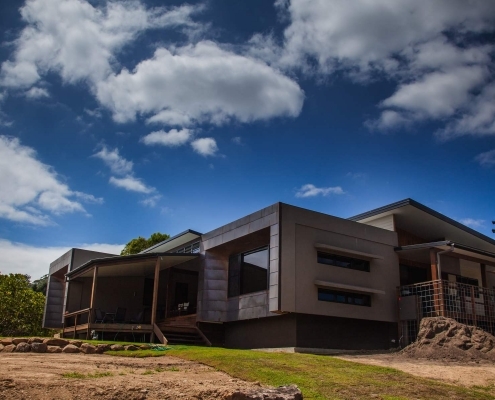 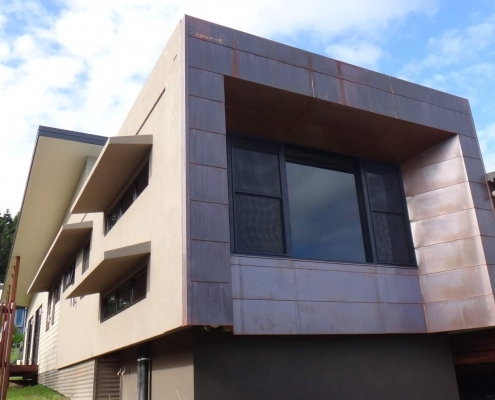 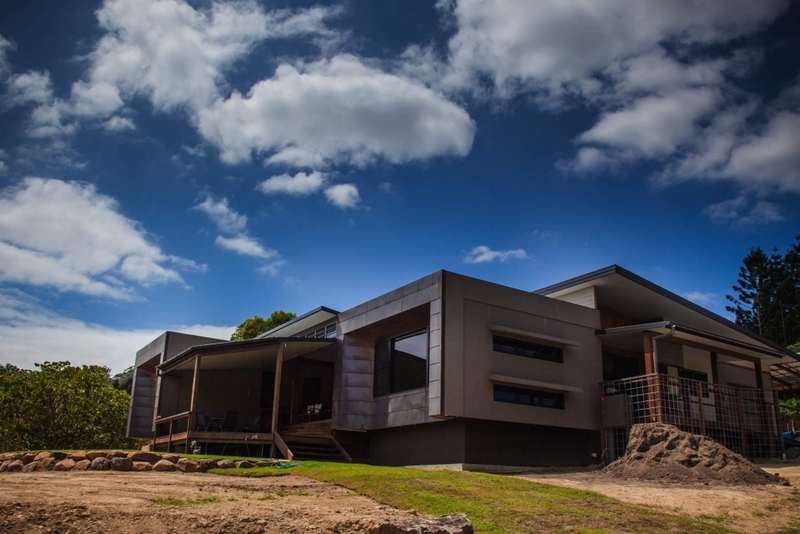 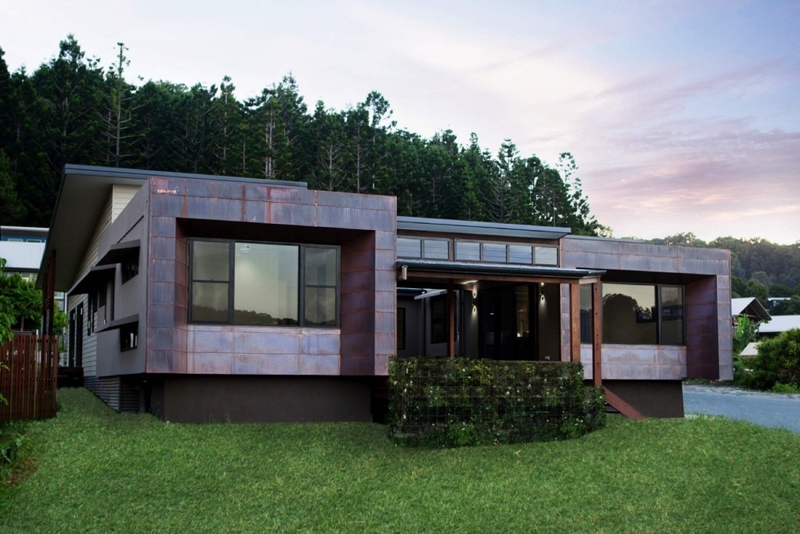 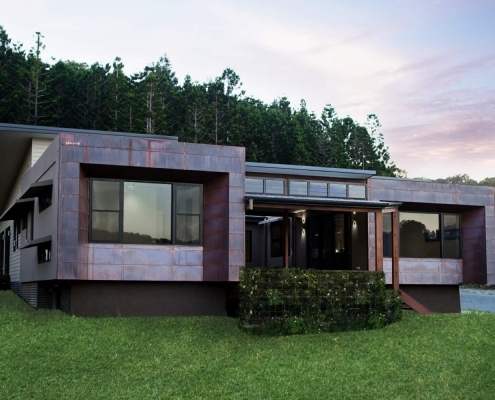 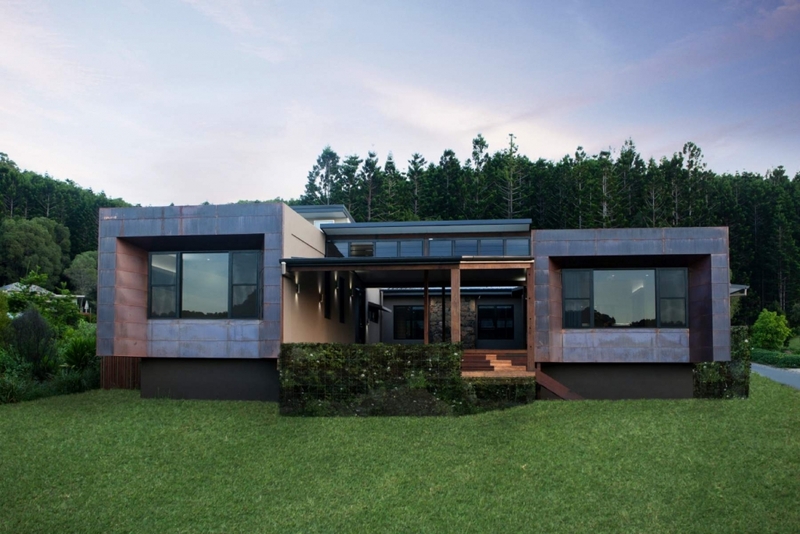 Copper cladding to the front facade sets this house design apart from the rest. 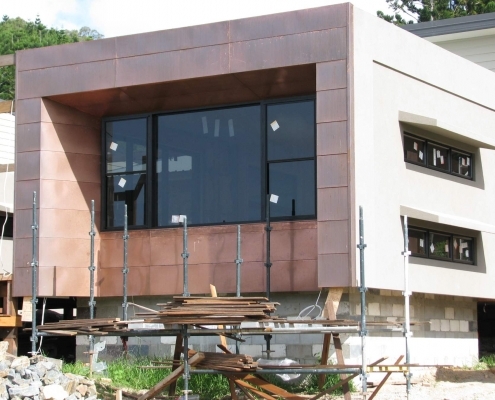 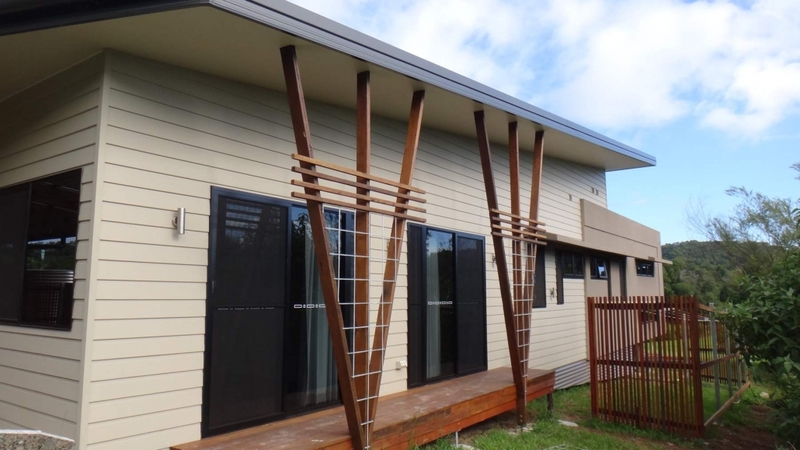 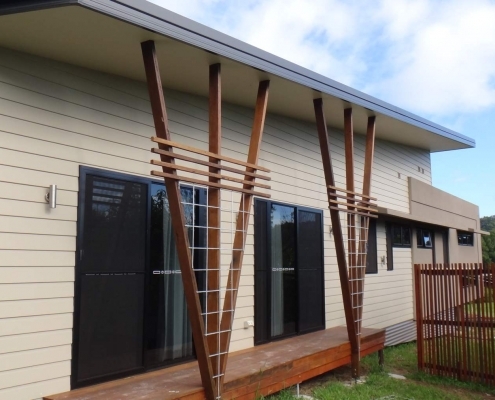 As this house had no overhangs to protect the walls, copper was a low maintenance choice that will handle the weather for another 200 or more years without requiring painting or any maintenance. 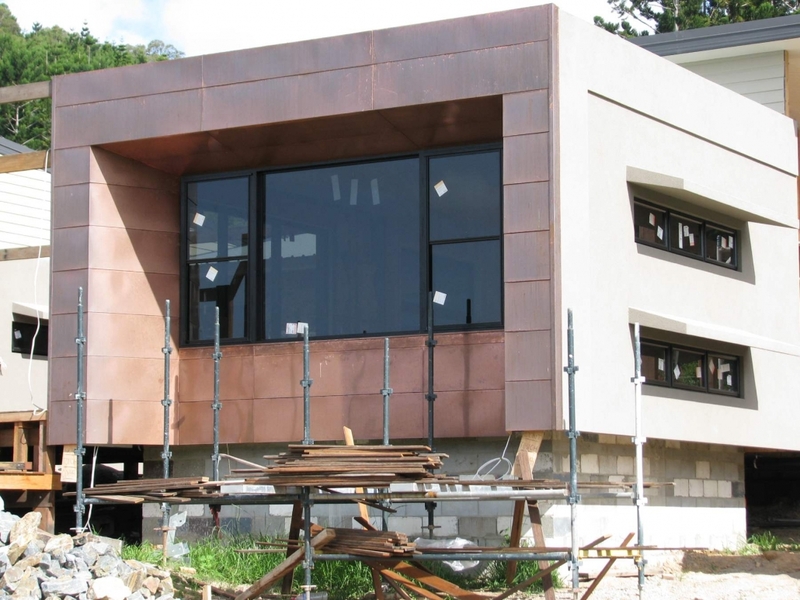 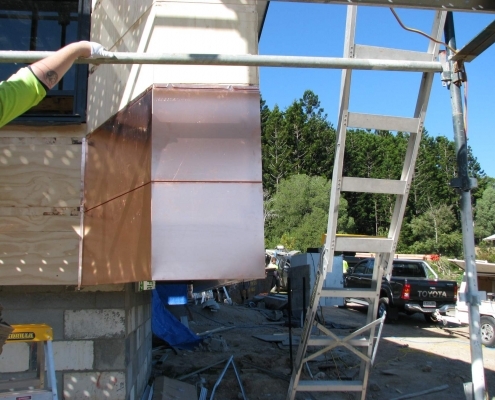 The copper sheeting being just 0.7mm thick it is still considered a sustainable material not requiring chemical upkeep and being totally recyclable at the end of the homes day and lasting forever. 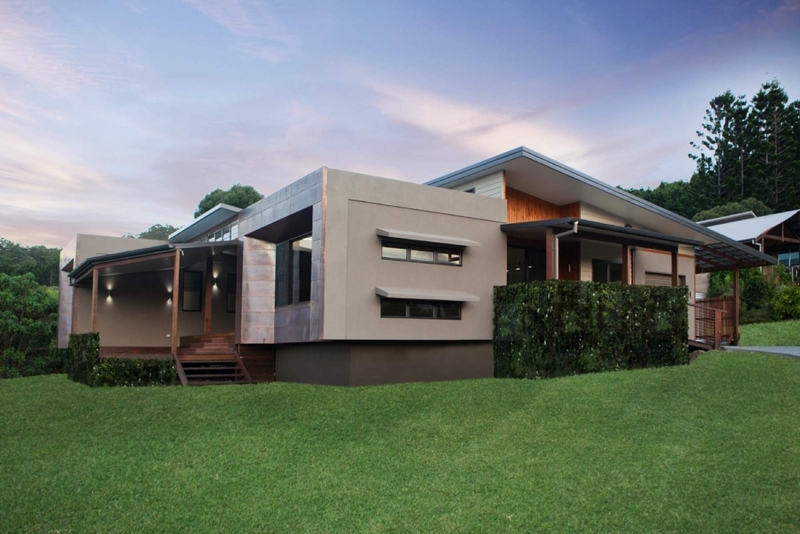 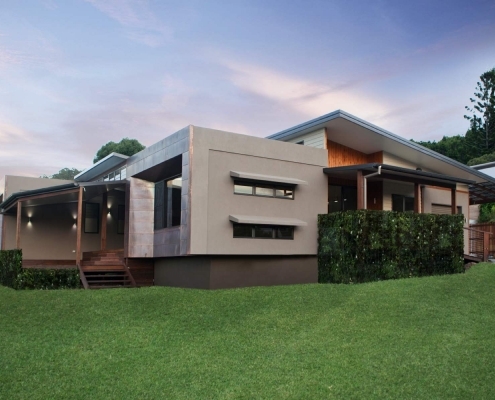 I designed the home with two cuboid shapes split by an open entertaining area that looks out over Currumbin Creek and down the valley. 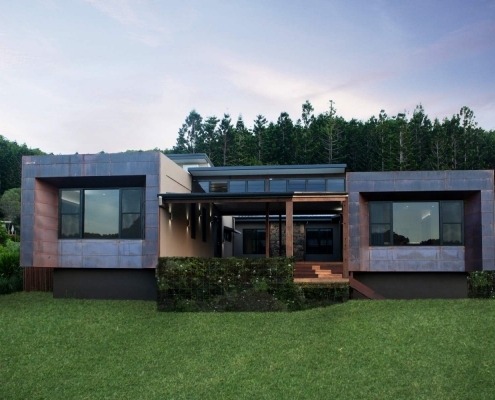 The cubes cantilever out from on top of the concrete water tanks that are used for their general house use and also combine to be thermal mass averaging out the internal temperature of the rooms. 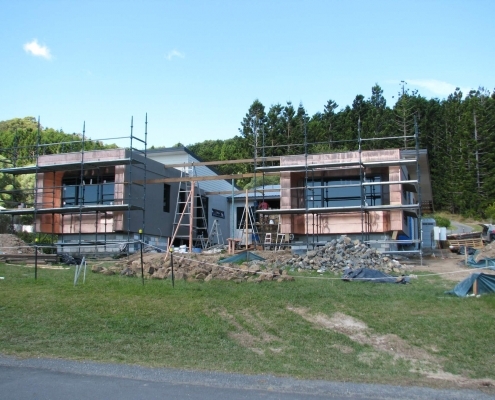 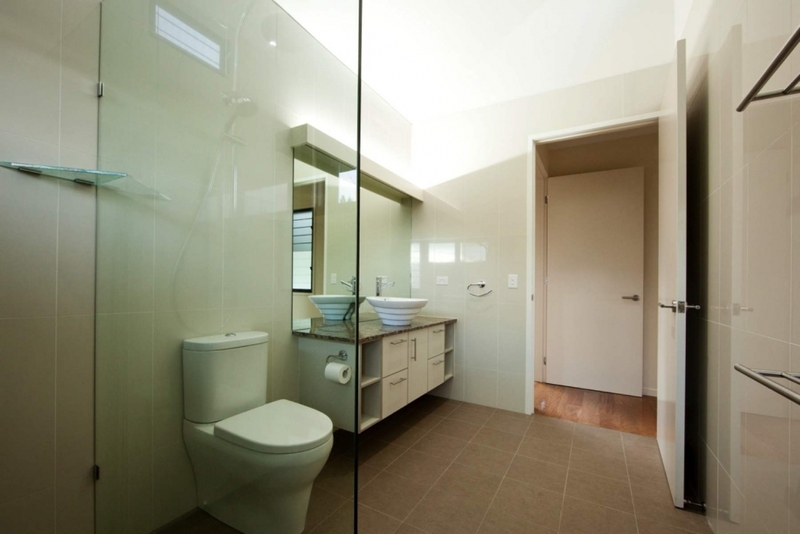 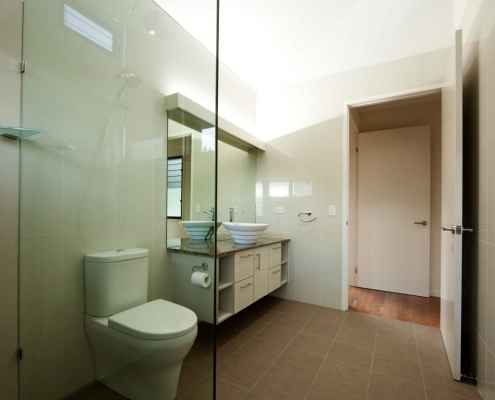 Water is the best thermal mass component that can be used practically in housing and here we are using it to heat the main bedroom and also the main living areas whilst providing more than 40,000 litres of water. 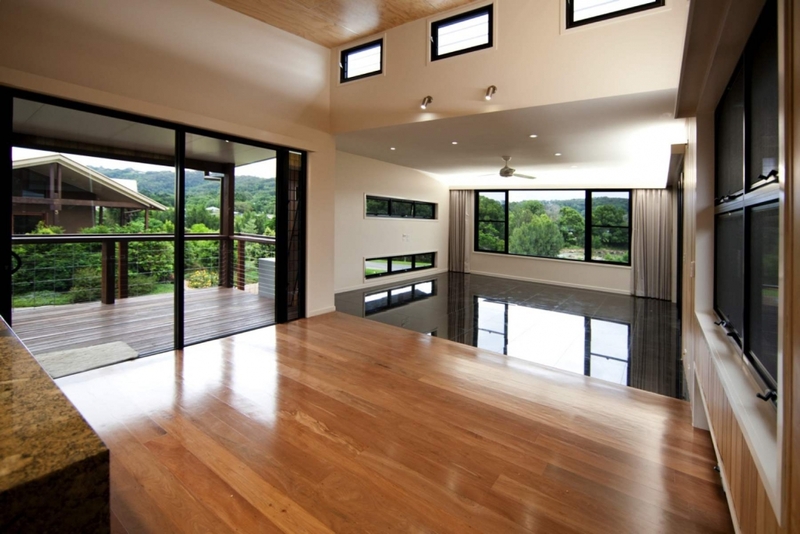 It works even better in winter keeping the house cool, and barefoot on the black granite tiles is bliss on a hot day. 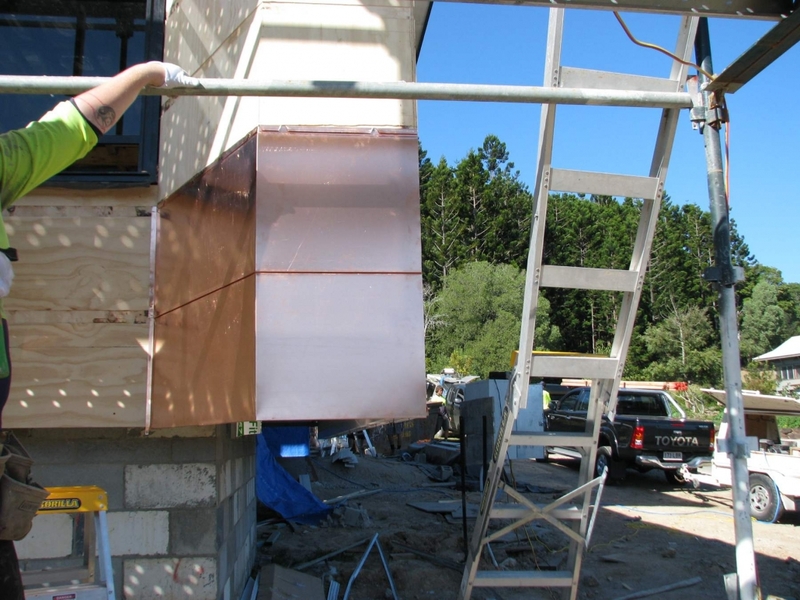 The owner has taken it one step further by connecting up a stainless steel tank under the daybed to an extra hot water system to provide more thermal mass heating in winter. 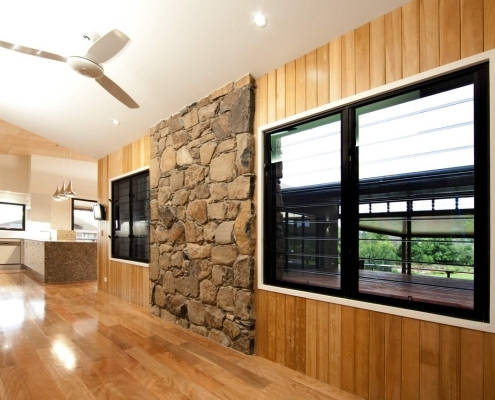 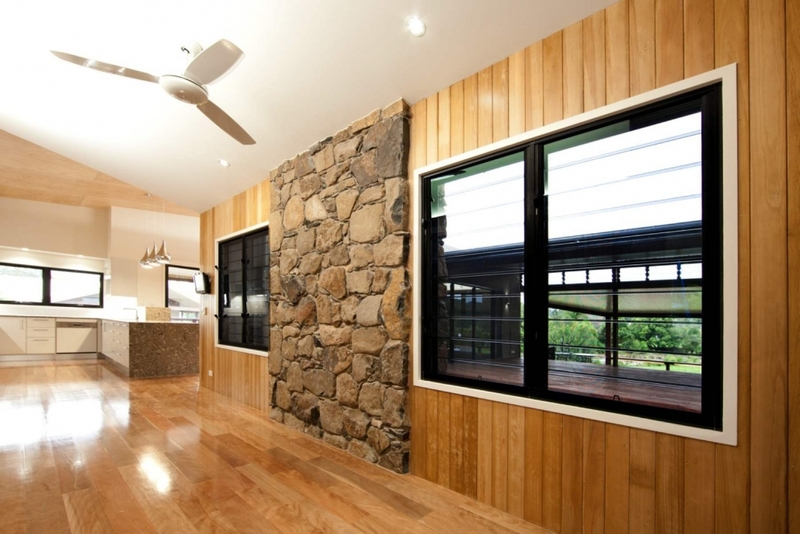 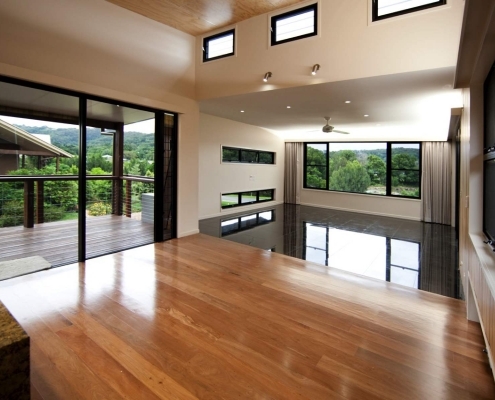 Complete with Photovoltaics on the roof, much recycled hardwood that the owners painstakingly de-nailed and trimmed and LED lighting, this house is as energy efficient as they get.